​North American friends can make their gift to the Friends through the University of Oxford North American Office. In the drop-down menu, “I would like to use my gift for”, please select “Pusey House”. 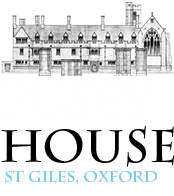 ​Become a Friend of Pusey House for £36 p.a (£24 Students & Recent Graduates) or one our Patrons for £100 p.a. This Standing Order replaces any previous mandate payable to this account. I confirm I have paid or will pay an amount of Income Tax and/or Capital Gains Tax for each tax year (6 April to 5 April) that is at least equal to the amount of tax that all the charities or Community Amateur Sports Clubs (CASCs) that I donate to will reclaim on my gifts for that tax year. I understand that other taxes such as VAT and Community Tax do not qualify.